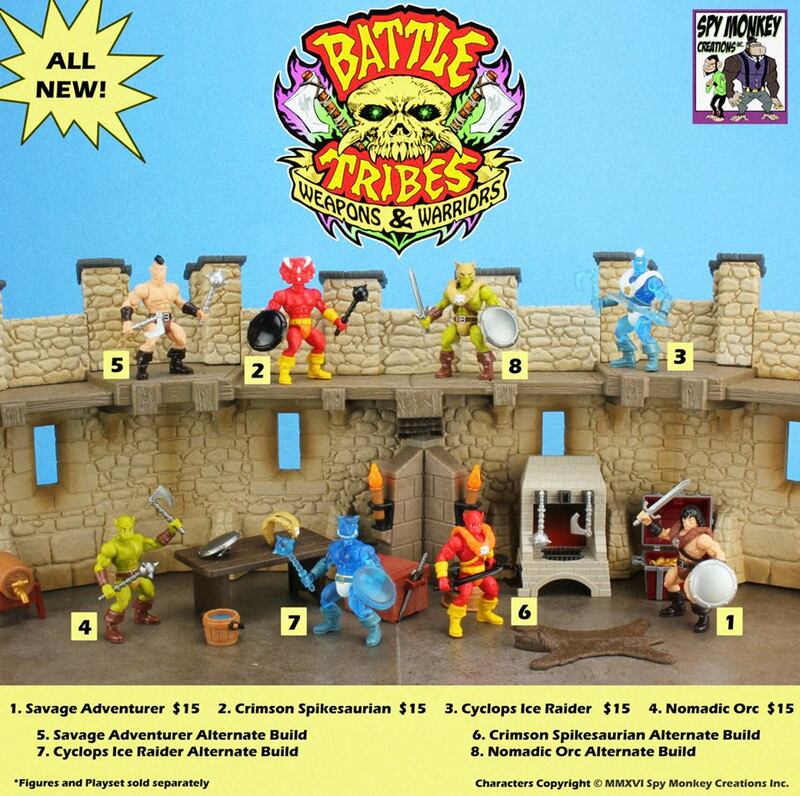 Spy Monkey Creations Introduces Battle Tribes! 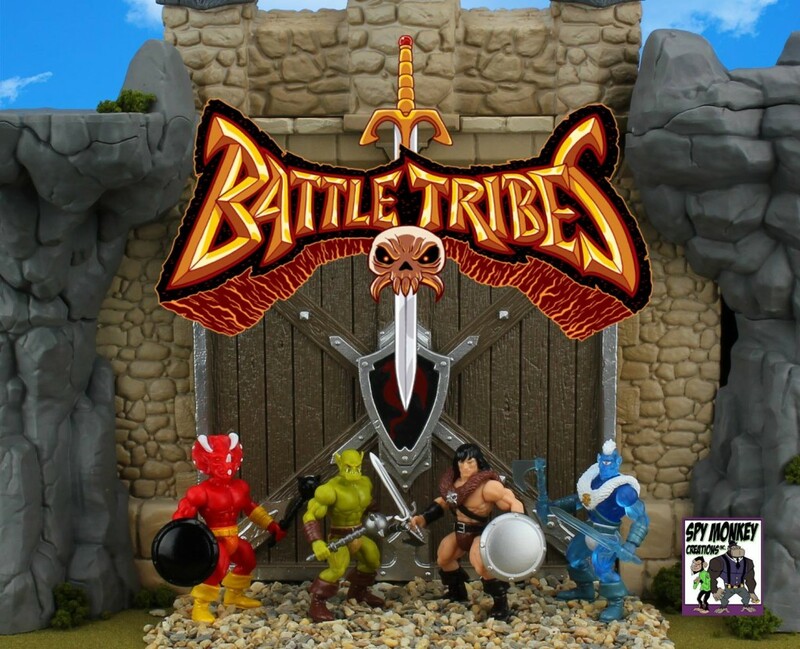 The folks over at Spy Monkey Creations had their very first drop of Battle Tribes on 4/8/16 at 6pm PST! Here’s a great first look video review from Pixel Dan. 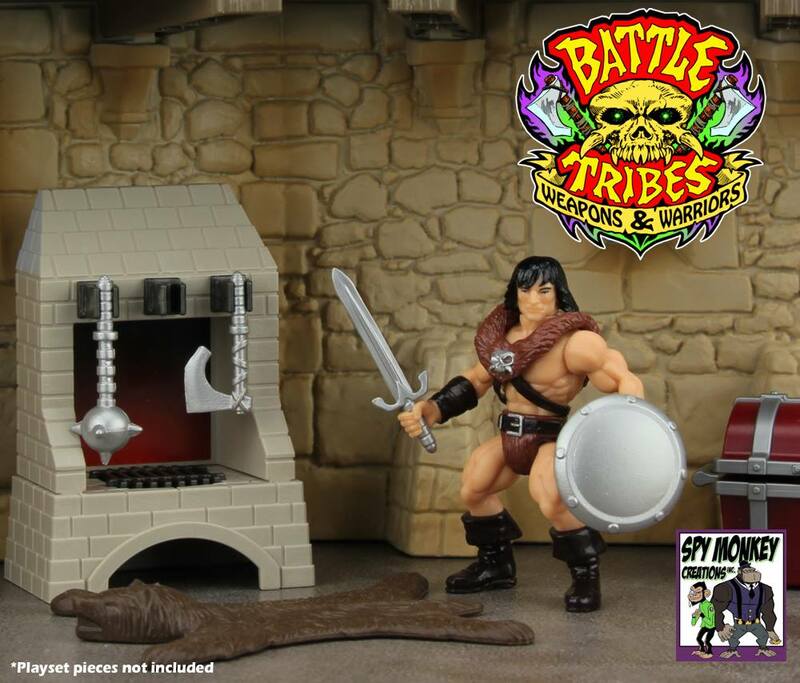 Savage Adventurer – Fearless barbarian hero. 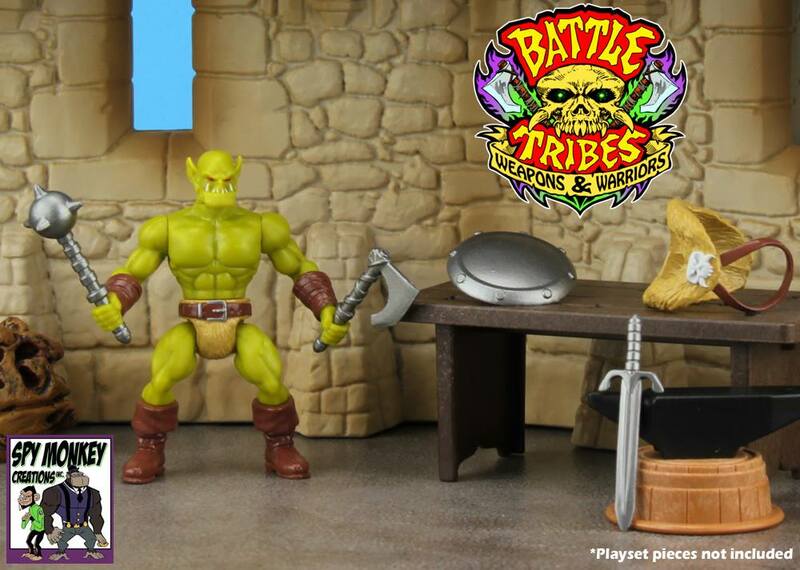 Nomadic Orc – Bestial green-skinned wanderer. 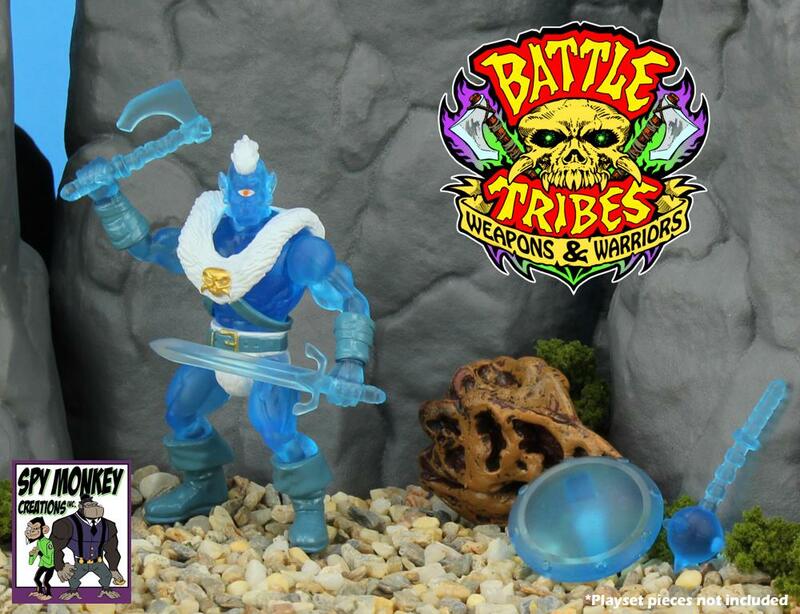 Cyclops Ice Raider – Mysterious marauder with the power of ice. Crimson Spikesaurian – Powerful primeval dino warrior. 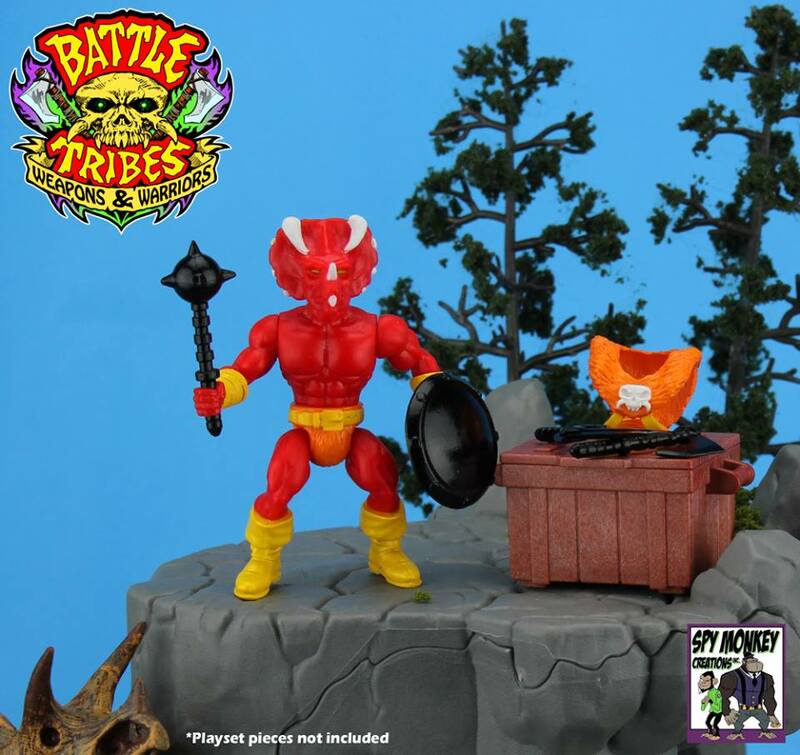 Battle Tribes: Weapons & Warriors Wave 1 will go on sale at 6:00pm PST, Friday April 8th, 2016 in the Spy Monkey Creations Webstore. 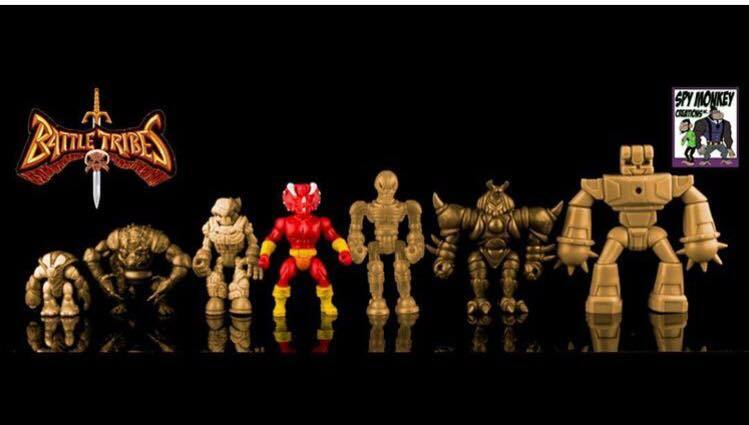 Comparison shot of Battle Tribes to other Glyos-compatible figures is shown below to show scale. These little guys are Mini but Mighty.